Posts Read A NAMELESS Sample Chapter! And Win A Copy of the Book! Read A NAMELESS Sample Chapter! And Win A Copy of the Book! Nameless is slated to come out next week. I’m all giddy. I’m heading out on a Nameless: The Darkness Comes blog tour, and I can’t wait for it! Meanwhile, life goes on. My Angry Ginger and I glittered my bedroom wall on Monday. (Pics to come.) We’re still reading every night with our six year old. Last night I made white chocolate chip Crack Cookies. It’s been a real joy. We’re starting the tour out with a bang. 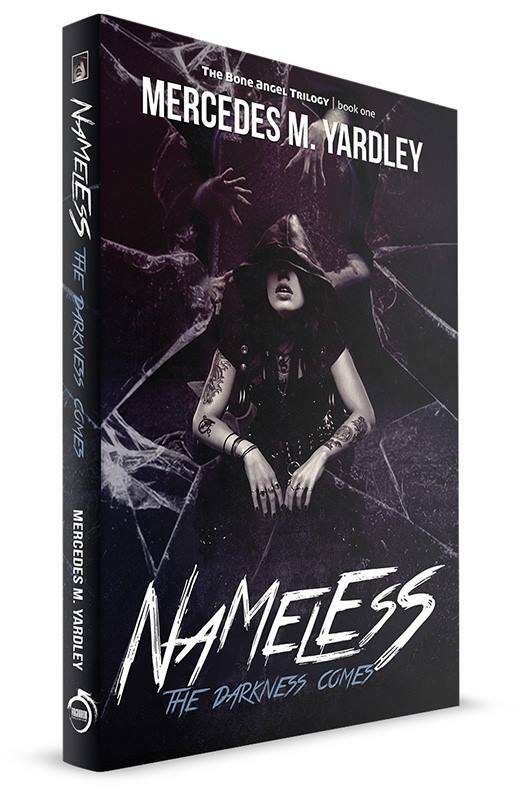 Not only can you read a sample chapter of Nameless, but you can enter to win your very own copy of the book. All you need to do is leave a comment on Todd’s blog. That’s it! You can check all of that out here. Best of luck to you, my friends! Let’s begin this wild ride. I’m so grateful you’re doing it with me.